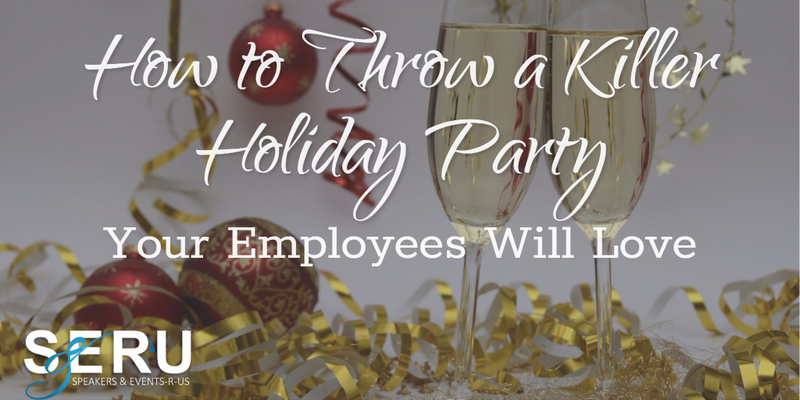 How to Throw a Killer Holiday Party Your Employees Will Love Let’s get creative. Who wants to go to the same old corporate Christmas party, sporting your best (awkward) ugly Christmas sweater, sipping on punch and engaging in forced polite conversation with coworkers and significant others? Not me. And not your employees…. Thank you for helping us put on such a great holiday party. You and your staff were very vital to the organization and success of our event. The decor was beautiful, the room became a Winter Wonderland. The casino was a great success and operated very well. Because of your efforts and professionalism, our annual holiday party was an incredible success and enjoyed by all. I couldn’t have been more pleased from the Welcome Reception to the Awards Dinner as well as the tours on Friday and Saturday. Our guests loved the band and cheerleaders and were impressed with the overall party. Our President was completely taken back when he walked into Salon B&C for the Awards Dinner. He thought the room was stunning. Thank you for the bottom of my heart for making our meeting a success at the Grand Geneva. Thank you so very much for the beautiful transformation of the Big Foot Country Club for our Holly Ball. It was beautiful and you received many compliments. Your attention to detail, creativity and special touches were appreciated by all. Thanks so much for making our holiday party a huge success! I have received compliments on how wonderful the room looked. You took our ideas and made them reality. Thanks for a job well done. Our Grand Opening for the New Abbey Resort was nothing less than fantastic thanks to you. Thank you, thank you, thank you! 5 Stars out of 5! I know I can always count on you for perfect event execution! I would entrust Events-R-Us with my best clients. Thank you so much. Grand Geneva Resort & Spa would like to thank you for helping make our Customer Appreciation Weekend a huge success. Our guests were absolutely amazed by the the decorations. Your attention to detail and hard work helped captivate our guests. Awesome-always a pleasure to work with a company which you can count on and trust. Thank you so much for your hard work on our evening events in Lake Geneva. I was absolutely blown away by the decor on both evenings. You have an incredible creative flair and truly made my vision a reality! Your suggested entertainment on both evenings was great as well. Planning an event from far away is difficult – but you put me at ease and definitely pulled it off.